Bistable/magnetic current isolating switches ON-OFF position are different to traditional current isolating switches. 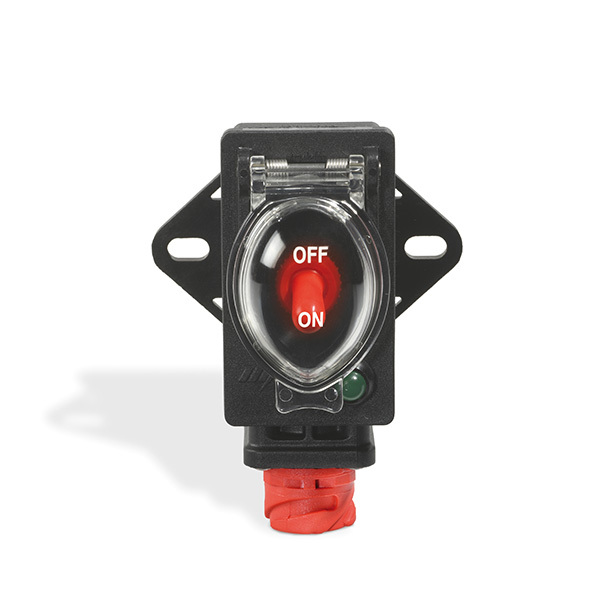 Traditional switches use a minimum current when they are turned on, models with “magnetic ON-OFF position” absorb current only during the commuting phase or when switched from (OFF) to (ON) and vice versa. Generally referred to as “bistable with zero consumption”, the switches turn to closed or open state of the electric circuit. Available with positive + and negative - disconnection, positive + or negative - disconnection (watchdog), ADR (Dangerous road materials) version and a positive + only version.